Pimento Cheese Deviled Eggs, two southern favorites come together to make an everyday dish at your next gathering into extraordinary. 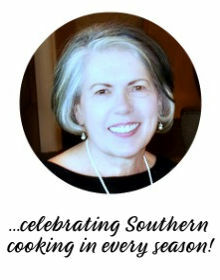 You might say a double dose of southern hospitality all in one bite! 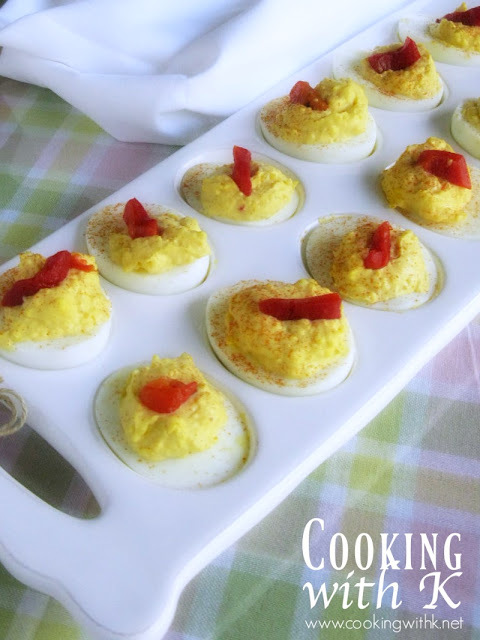 Deviled eggs are classy all by themselves when served on a table at the holidays, at a bridal shower, a brunch, to even a spring picnic. 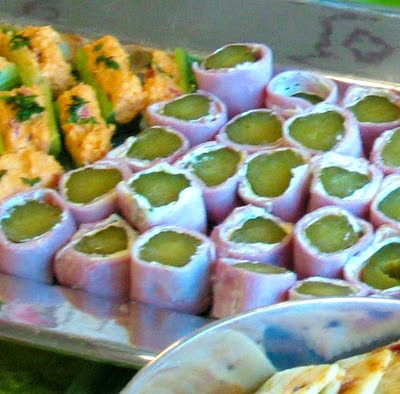 They are also the perfect appetizer to serve while your guest are visiting and you are taking care of the finishing touches to a meal. Set them out on a tray and let them dig in. 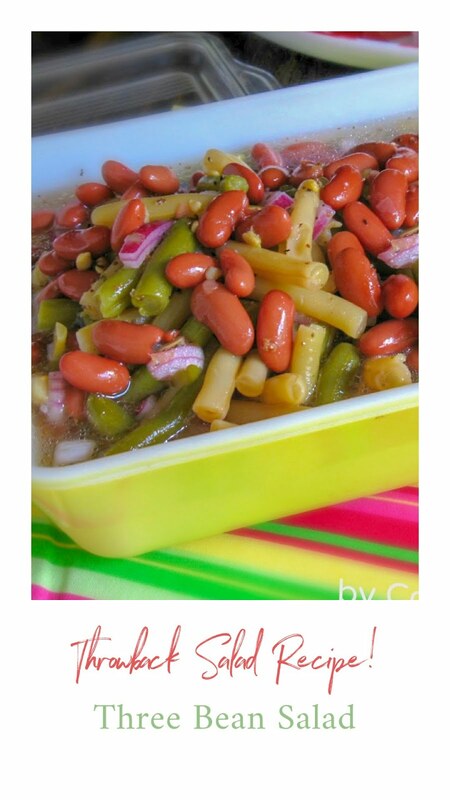 They are not too filling and rich to spoil your appetite, but tasty enough to hold you until the food is ready. 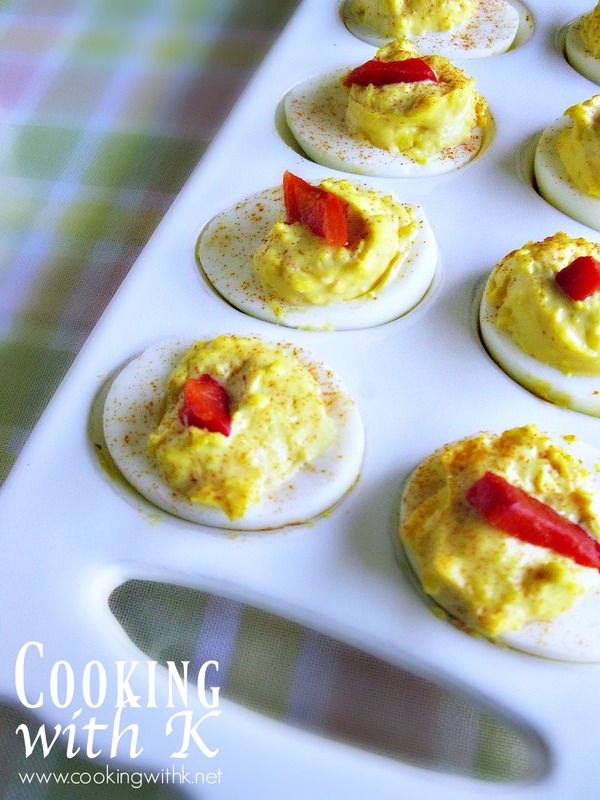 You might even find pimento cheese at these same gatherings. 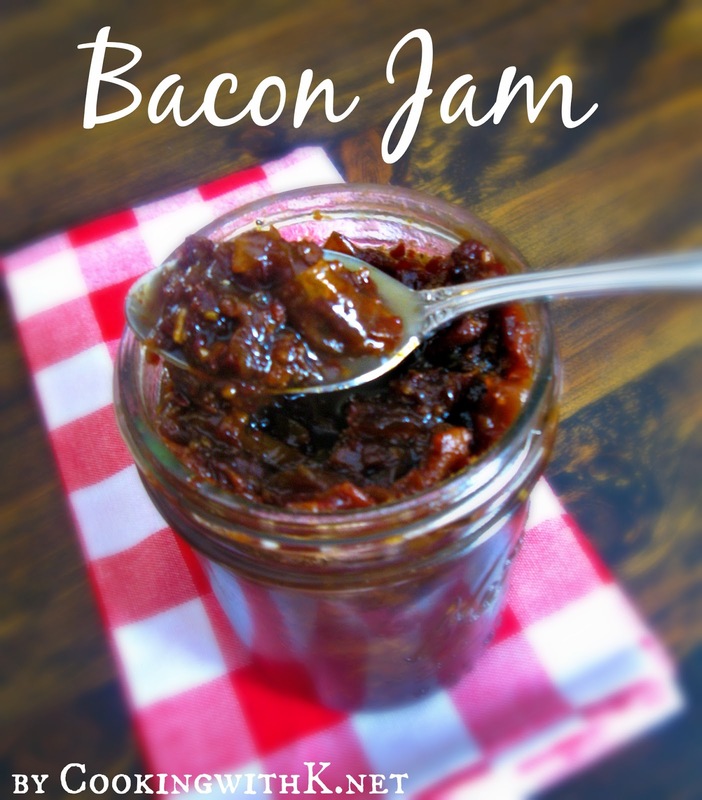 It makes a lovely snack with crackers or between two slices of bread. 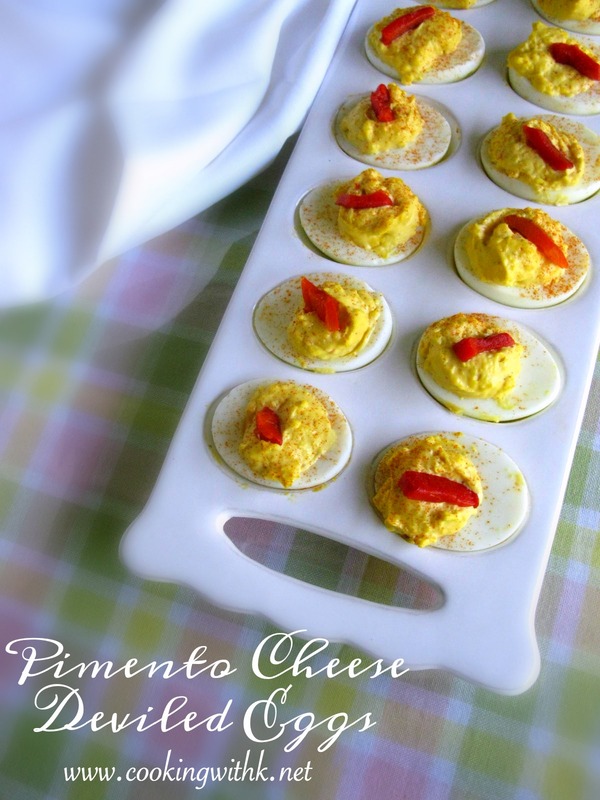 My Mother loved to make a big jar of pimento cheese and keep it in the refrigerator ready to serve in a pinch. With Easter this weekend I thought bringing two iconic Southern flavors together would be the perfect side dish to celebrate. Here is my recipe for an extraordinary deviled egg that is sure to wow any family member or guest. Enjoy! Cut eggs in half lengthwise. Remove yolks and place in a bowl. Add mayonnaise, mustard, salt, pepper, and pimento cheese. Stir until all ingredients are well incorporated. 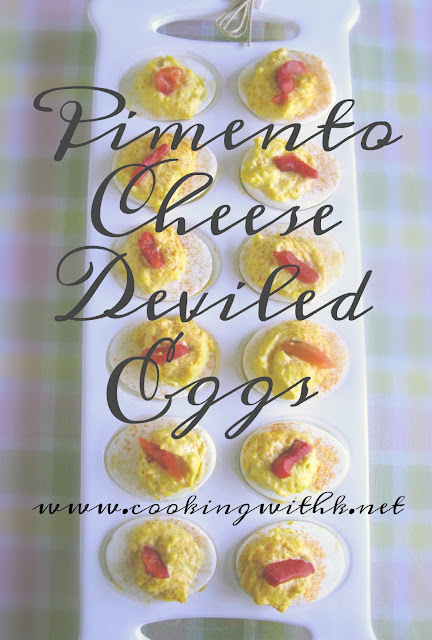 Spoon or pipe egg and pimento cheese filling into the cavity of egg whites. Cut roasted red bell peppers in small pieces. Place stuffed eggs on a serving platter and garnish with roasted bell pepper pieces. 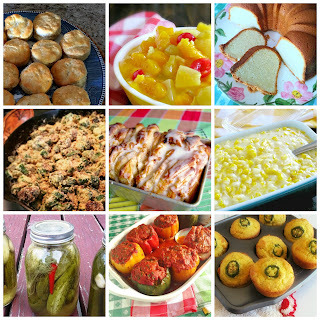 Join me for Meal Plan Monday, Weekend Potluck, What's Cooking Wednesday, Foodie Friday and all these fabulous parties!